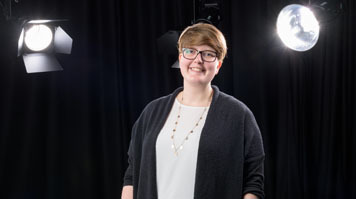 After attending an Open Day – “it was really well organised, and the tutors were friendly and approachable” – Lisa decided that LSBU was the right place for her. It’s a decision that she feels has been fully justified by her experiences on her BA (Hons) Photography course. “What I liked about the course was that it gave you the technical skills to succeed, along with the theory to back things up – but also gives you a real understanding of the commercial side of the industry as well,” says Lisa. Lisa's work can be viewed on her website: Lisa-Drew.com.